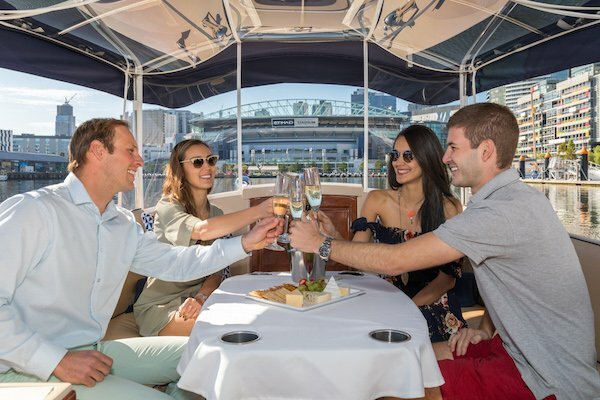 Melbourne celebrates fine food and offers both unique and social dining experiences.There is simply no better way to indulge in a gourmet dining experience, surrounded by the vibrancy of this world-class culinary city whilst cruising on a luxury boat. 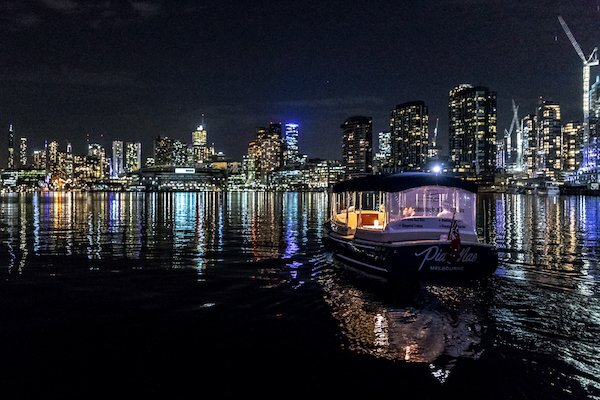 Our Yarra River dinner cruises are definitely a Melbourne experience not to miss. We offer two dinner cruise options in Melbourne. 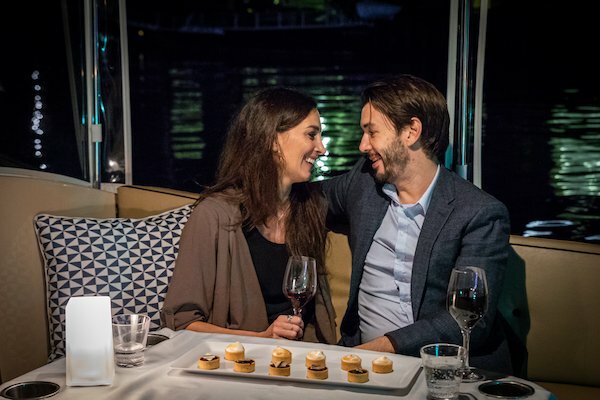 Firstly, Melbourne’s only private dining experience for couples, yes that’s right a luxury private and romantic three course dinner cruise for two on the Yarra River. Enjoy a private cruise whilst enjoying a delicious three course meal aboard your own boat. 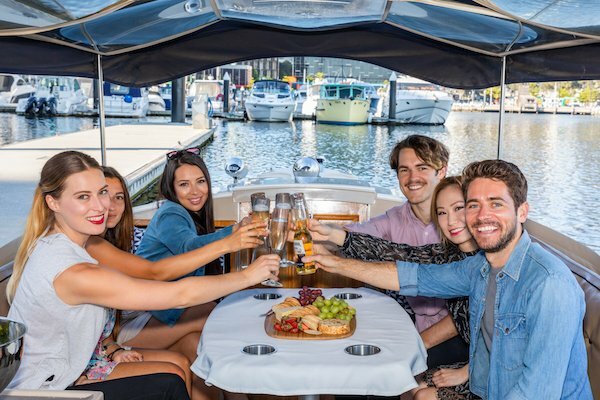 Our Melbourne’s first and only Yarra River three course progressive lunch or dinner cruise which includes a scenic cruise along Melbourne’s iconic Yarra River with spectacular breath-taking views and delicious food and wine to savour your taste buds from three different restaurants along the river. Our Yarra River lunch/dinner cruises are suitable for groups from 2 persons up-to 35 persons. 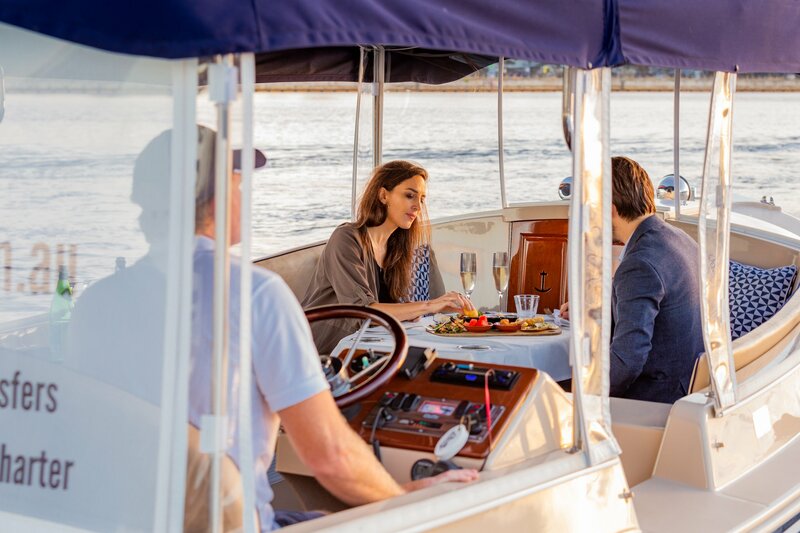 Indulge and enjoy a romantic private dinner cruise on Melbourne’s spectacular Yarra River for you and your partner. Melburne’s first and only progressive dinner cruise on the Yarra River Melbourne. A three course dining experience not to miss!